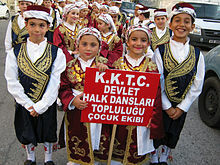 ^ International Chamber of Commerce. Europe Review 2003/04: The Economic and Business Report. Kogan Page Publishers. 1 November 2003: 79. ISBN 978-0-7494-4067-1. 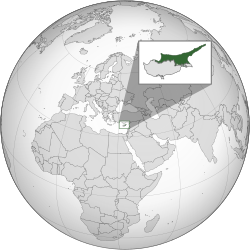 The Turkish Cypriot-dominated north is the Turkish Republic of Northern Cyprus' which elects its own government and is recognised only by Turkey.